Tis the season for super fights! Christmas is coming early this July as we get a colossal showdown between the UFC’s light heavyweight and heavyweight champions, Daniel Cormier and Stipe Miocic. Talk about a treat. Point is, super fights are fun for pretty much everybody. They’re fantasies that become a reality and unicorns in the MMA world. Truly, there has really only been one super fight in MMA’s short history and that took place in 2009 when the superstar, welterweight champion, Georges St-Pierre defended his title against “The Prodigy”, lightweight champion, BJ Penn. 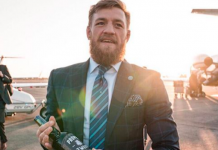 With one on the horizon and surely more to follow…MMA gods, can I make a request? There’s one super fight that we’ve all been missing out on and didn’t even realize it. We all remember the good ol’ days of World Extreme Cagefighting, right? No, not everyone? Well hey, the UFC made Fight Pass for a reason! When it came to the WEC, they were the clear premiere organization for the lighter weight fighters at and below lightweight to bantamweight. Without question, there were two fighters that they produced that stood out above the rest of their great talent. Those two being two of the greatest fighters of all time, Jose Aldo, and Dominick Cruz. The consensus greatest fighters in their weight classes histories, no one else has accomplished what they have at featherweight and bantamweight. Yet…it seems like a fight between the two hasn’t ever really ever crossed the minds of that many people. Competing in and starting their reigns for about the same three-year span inside the organization, each man was on top of their respective divisions by the time the UFC had purchased and absorbed the WEC and these two were the inaugural UFC champs because of that. The few times that there has been talk of these two fighting, it’s been heard just from Cruz who has been open to it. Dating all the way back to 2010 at it’s earliest then just in 2016 at it’s most recent. Neither man is a champion anymore and their careers have changed plenty over the years. But that doesn’t mean that seeing these two go at for five rounds still wouldn’t be a sight to behold. 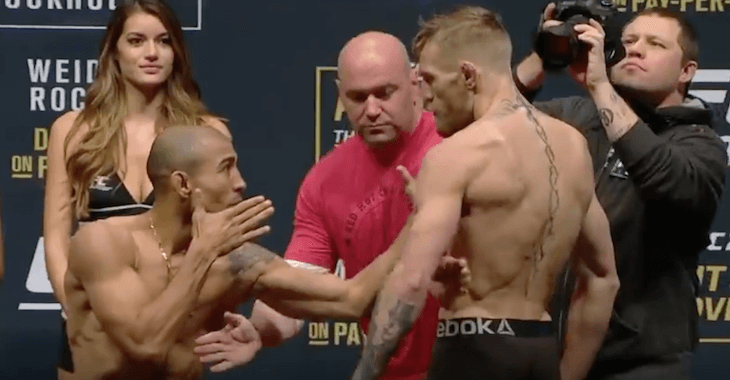 Aldo and Cruz have a combined record of 48-6 with 22 total title victories between them, 7 in the WEC, 13 in the UFC and 14 defenses overall. That’s a lot of success. 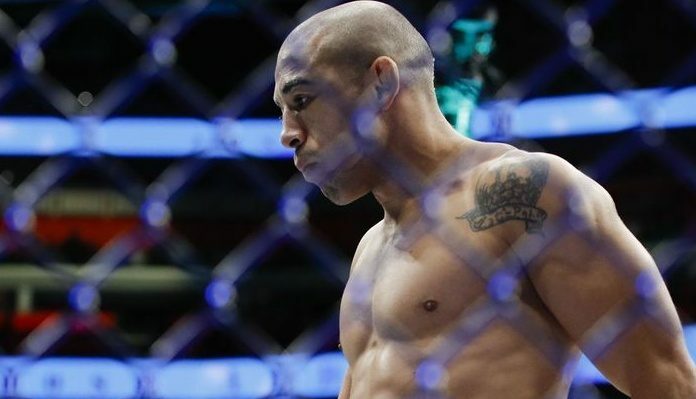 Both known for their phenomenal well-roundedness and unique striking abilities, few other fighters in MMA have possessed the skills that they do and have displayed. Which is what makes it oh so intriguing. 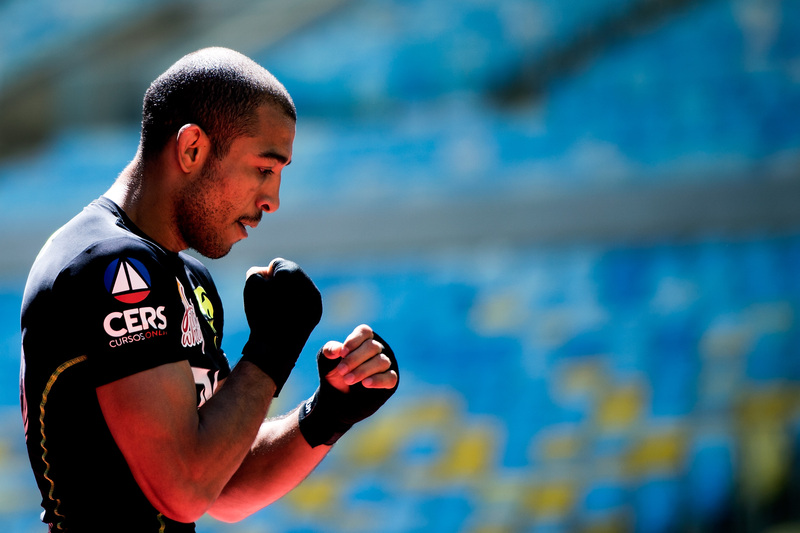 Aldo vs Cruz is the GSP vs Anderson Silva of the WEC. 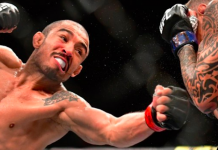 Aldo is known for being one of if not the most lethal leg kickers in MMA’s history. That paired against the wizard-like innovative footwork and movement of Cruz would be like watching a human chess match. 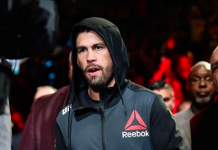 Each very fast overall and brilliant with their grappling, the puzzles that would need to be figured out inside the Octagon would be unlike anything we’ve seen before. I know, a majority of you might be thinking about the Max Holloway and Cody Garbrandt fights but don’t be that way. Styles make fights and the MMA gods have shown us this time and time again! It’s not too late for the WEC super fight. 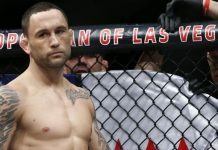 This article first appeared on BJPenn.com on 5/14/2018.